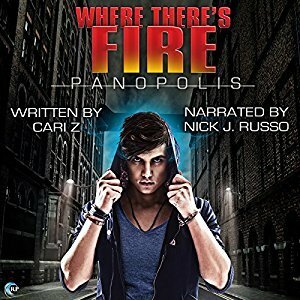 'Where There's Fire' is the second installment of Cari Z's 'Panopolis' series and once again I was fortunate enough to be given the opportunity to enjoy the audiobook narrated by Nick J. Russo, who also narrated the first one and does an equally excellent job with this second installment. This one picks up just a little while after where the first book left off, 6 months after to be precise. Eddie and Raul are trying to make a life together after Raul (aka the Mad Bombardier) has helped Eddie escape from prison along with several other villains. Eddie's new psychic powers are giving him migraines, they're constantly having to defend their turf against the villains who escaped along with Eddie, other than life is pretty good for our MCs. At least it is for a little while. 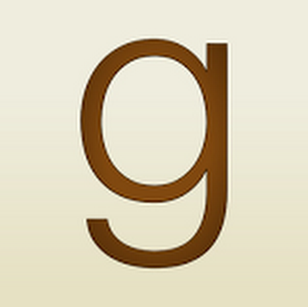 I totally enjoyed this story and all the twist and turns that it involved. Eddie and Raul are absolutely my favorite heroes ...villains...ever! In 'Where There's Fire' we journey with Eddie as he tries to establish himself as a villain and finds himself having to play the hero and rescue his boyfriend from yet another one of Panopolis's villains and it's not looking good for him but when the man he loves is at stake Eddie proves himself to be up for the task. I loved this story and honestly I have to admit that while I'm anxious to read the third and final installment which is about Freight Train one of Panopolis's heroes who has been a secondary character in 'Where There's Smoke' and 'Where There's Fire'. I'm probably going to wait for the audio version because this series has been such a treat to listen to on audio that quite honestly I'm having a hard time imagining myself enjoying it nearly as much as an e-book. 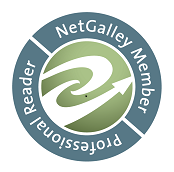 An audiobook of 'Where There's Fire' was graciously provided by the publisher in exchange for an honest review.